The father of El Capone, UB 40, has been for years in America, where he is successfully used for breeding. The mother of El Capone is the elite mare Vamora, which has a very good mother report. In this report is described amongst others that Vamora is a rich developed mare that is built good in the rectangular model and shows a lot of blood breed. Vamora has in the basic corridors a very strong hind leg technique with much bend in the joints and good flexibility. 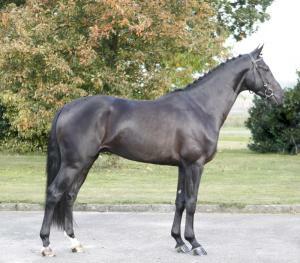 El Capone is a more than sufficiently developed stallion and is more than sufficient built in the dressage horse model. 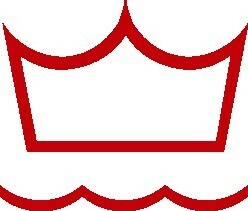 The neckline is of good length and muscling. The back is more than sufficient of length and well muscled. The loins are well muscled and well connected. The croup has good length, location and muscularity. The base is well developed and more than sufficient of quality. El Capone is an honest and reliable stallion with a good attitude. The walk is correct, active and good from scope. The trot is light, well carried and with a lot of space and the canter is powerful, and well-carried with space. El Capone moves with a good leg technique, is light footed and has a great flexibility. As a dressage horse, El Capone has much talent. El Capone may improve the technique of moving at the trot and canter.